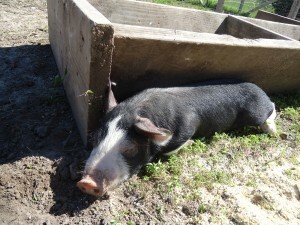 The Farmhouse Frolic is a time for anyone to come and visit the farm. All are welcome and encouraged to come. Bring your family and friends to experience this early 20th century farm. 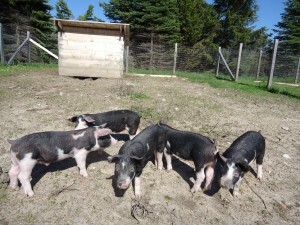 This is a great opportunity to visit Hillside Homestead and have fun doing it! 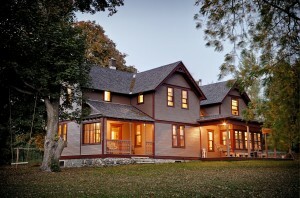 Visit www.hillsidehomestead.com or www.facebook.com/hillsidehomestead for more info! 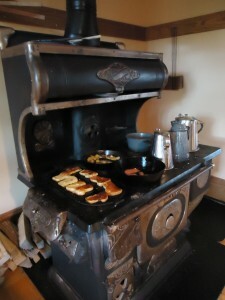 Historic cooking demos and tastings in the kitchen focusing on food in season, eggs and early vegetables. See the farm animals: pigs, chickens, chicks and ducklings and perhaps the itinerant goose, Gypsy, will even appear! Or just enjoy some porch sitting with your friends and relax! My wonderful wood cook stove, a Round Oak Range. This entry was posted on Tuesday, June 10th, 2014 at 7:53 pm and is filed under Food. You can follow any responses to this entry through the RSS 2.0 feed. Both comments and pings are currently closed. 4 Responses to “Farmhouse Frolic June 22 from noon to 5pm” Comments are currently closed. I would like to continue to get updates from you. Thank You. Do you have a Facebook event for this? What a unique (family friendly)outing. I would love to share it with followers of Traverse City Children’s Book Festival!